Boot Beer Mug, 12 - 1/2 oz. Great for rodeo concessions, Western themed restaurants, and parties this Anchor Hocking Western boot beer mug is a fun and unusual way to serve beer, soda floats and desserts! The 12-1/2 oz capacity is perfect for small to medium applications or for use as a decorative piece. 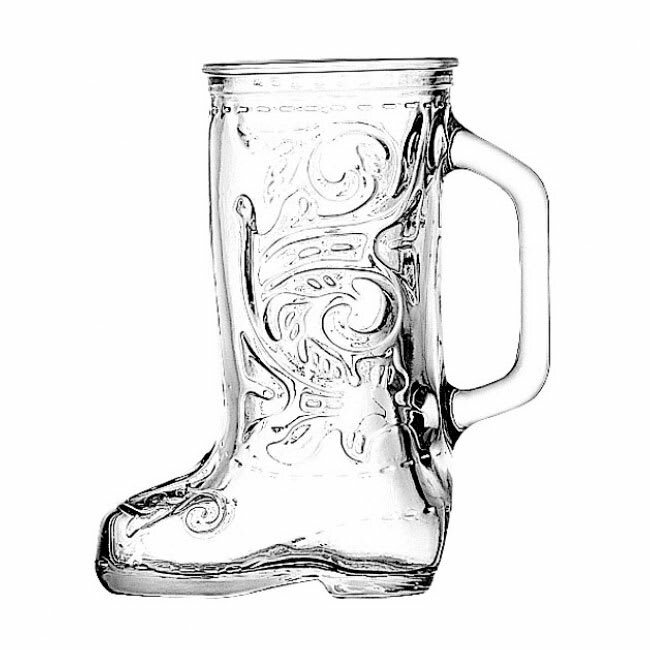 Because of its amazingly durable construction, this glass Western boot beer mug is backed by the Sure Guard guarantee. From crafting to drinkware, this Western boot beer mug is unique addition to any tabletop! 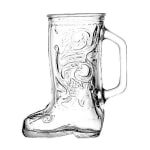 Western Boot Beer Mug, 12 - 1/2 oz., Sure Guard Guarantee. Typically ships in 14 to 21 days. "These boot glasses will be used for a wedding and exactly what I was looking for."